Acupuncture needles are very thin and smooth, so when they are inserted you feel only a slight sensation or nothing at all. Once the needles are in place, you may feel a sensation of heaviness, warmth or tingling at and around the site of the needle. Most patients find the treatments very relaxing and many fall asleep during treatment. 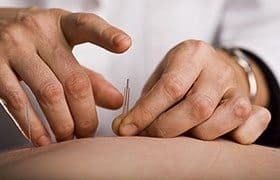 When performed by a qualified, Licensed Acupuncturist, Acupuncture and related techniques have proven to be extremely safe. Needles are pre-sterilized and disposable to eliminate the risk of disease transmission, and certification in Clean Needle Technique protocols to ensure that needles are kept sterile. Needles : Thin, sterile, stainless steel needles are placed in specific acupuncture points. The needles are at least five times thinner than typical hypodermic needles and insertion is usually painless. You may feel a dull ache or tingling sensation when the needle is stimulated. Acupuncture is generally a very relaxing experience. Moxibustion : Moxa is a Chinese herb (mugwort), which is rolled into sticks or cones and burned above the skin. 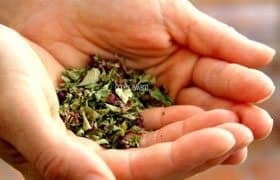 This aromatic herb creates a sensation that is warming and pleasant and regulates the qi. Electric Stimulation : Very low-level electric current may be applied to the needle or the skin. This is often used for muscle spasms and acupuncture analgesia, and to enhance point stimulation in general. Massage : Massage and bodywork are often applied in coordination with the needling to aid in relation and facilitate the movement of qi. Herbs : Herbology is an intrinsic aspect of East Asian Medicine. Herbs maybe prescribed to treat disease or as dietary supplements which will build and strengthen the body. This time has been set aside solely for you. Relax and allow the healing process to occur. Feel free to ask questions or voice your concerns which arise during the treatment. The treatment does not end when the needles are removed. Acupuncture has initiated a change within the body, and now it is your right and responsibility to ensure that these positive patterns are fostered. If possible, take some time to relax directly after your treatment. Most importantly, take an active part in your health care. How much does it cost? Will my insurance cover the cost of treatment? Many insurance companies are recognizing that acupuncture and East Asian Medicine is an effective healthcare system that both treats and prevents illness. Prior to treatment, after supplying your insurance information, James Shinol will provide a free examination of your insurance benefits to see if you have coverage. Out-of-pocket cost for treatment varies based on the number of treatments needed, but the ability to purchase treatment packages greatly decreases the expense. Is acupuncture just a mask for my pain? Traditional Chinese and Japanese acupuncture recognizes that many times aches, pains and other discomforts are only symptoms of a deeper underlying health problem. Therefore, a comprehensive diagnosis is complied, which takes into account the individual’s body, mind, and spirit. The theory behind this healing approach is known as “Root-Branch Philosophy”. The “branch” is the symptom that the patient is experiencing and the “root” is the cause of the manifestation of that symptom. Initially the goal of treatment is to eliminate the symptom. Secondly the body is strengthened to prevent the reoccurrence and progression of disease. Prevention is the best medicine.